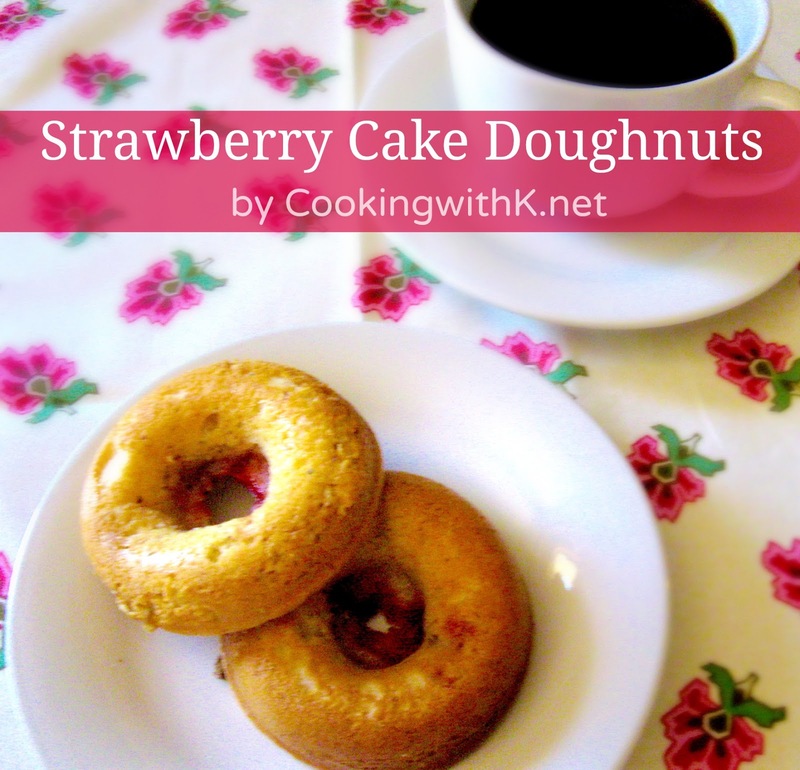 Strawberry Cake Mix Doughnuts, easy, quick cake doughnuts you whole family will love. Yes, using a cake mix, Greek yogurt and diced strawberries to make these little breakfast jewels. The Summer heat is fast approaching us. We have already started having 90 degree temperatures. When I was growing up, we didn't have air conditioning, just water coolers. Who remembers those days? You would have had to have grown up in the 50 and 60's. I remember if Mother was going to use the oven she would cook her dishes early in the day as to not heat up the house too much. I still think of those days today when I want to bake something. I like to bake in the morning and grill in the evening. 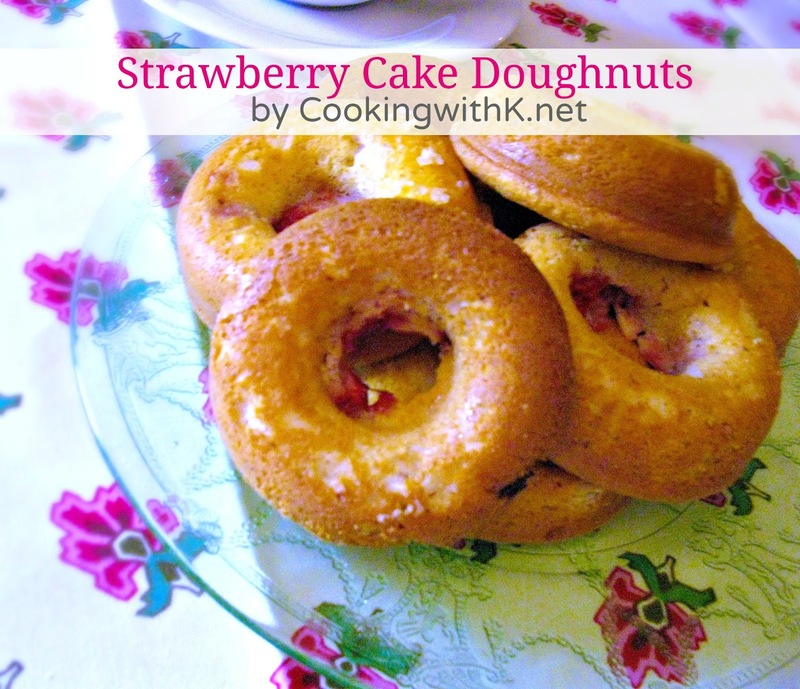 Strawberry Cake Doughnuts are the perfect thing to make early in the day for breakfast. The recipe is simple and calls for few ingredients. One yellow butter cake mix, strawberry greek yogurt, eggs, and butter. How easy is that? 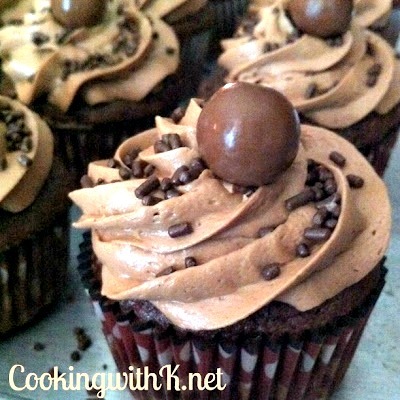 I love recipes with few ingredients and little time to bake, makes for a quick delivery on yumminess! I even like to make these plain to use in a Strawberry Shortcake Dessert. They remind me of the mini sponge cakes I use to buy back in the day---Another recipe for another day. Hope you will get to make some of these doughnuts soon. Enjoy! Preheat 350 degrees F. Lightly spray a two doughnut pans with a non stick cooking spray. In a bowl, add cake mix, butter and eggs. Mix all together, fold in yogurt being careful not to over mix. The batter will be dense. Spoon batter in prepared pans, Arrange 4 to 6 quartered strawberries on top of the batter. Bake for 15-20 minutes or until the top of the doughnut presses back when touched. Serve warm. 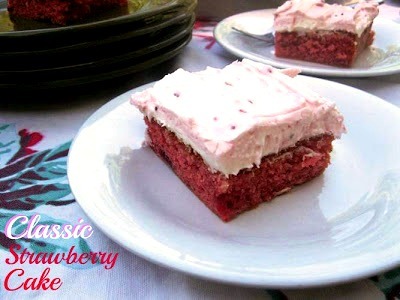 Can be served with additional fruit or a strawberry vanilla icing. Notes: The cake mix can be substituted for any flavor as well as the yogurt. Pinned to my Breakfast Board. WHAAATT??? I've never heard of such a thing!! I can't imagine...they look amazing and sure are simple enough. Thanks for sharing! How much butter? I'd love to make these. It is 1/2 cup…thank you for catching that…I made the correction. Sounds great...pinned it!! I love cake donuts! Your donuts sound great! I love using Greek yogurt in baking, I love how moist it makes everything! These sound so good! Thanks for stopping by…the greek yogurt is really magic in these. You are going to eat yourself to happiness with these…thanks for stopping by! That's a fabulous idea, using the cake mix as base. These donuts look so good and sounds divine! Passing by from Two Cup! Thank you for stopping by…enjoy company in my kitchen! Wow these are so perfectly made! thanks for coming to my party! I love your blog! Yes…those were the good ole days…life was simple! Thank you for stopping by and sharing…blessings! Can't wait to try these, look so good! Thank you so much for linking up at Tasty Tuesday! 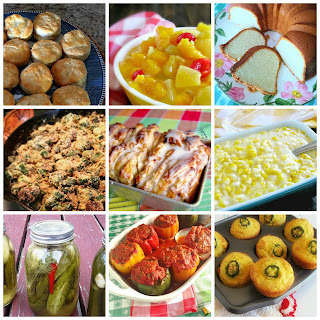 Your recipe has been pinned to the Tasty Tuesday Pinterest board! Please join us again this week! Your Strawberry Doughnuts look fantastic! 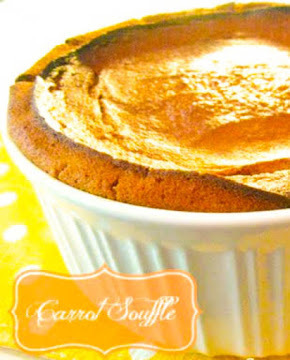 Thanks so much for sharing this awesome recipe with Full Plate Thursday and come back soon! Kay, these look so good, and I LOVE that they start with a cake mix!! Handy! Yes, I definitely grew up with water coolers (AKA swamp coolers! ), but it was out in WEST Texas where the dry air made them very effective. :) Thanks for sharing these donuts with us at Treasure Box Tuesday- pinning! What an amazing idea!! P.S. 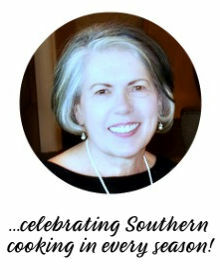 I love that the background of your blog is the like the Betty Crocker cookbook, makes me want to pull it out and start cooking!